You snap awake, sitting alone in a dark empty room. Your hands are handcuffed behind you, and your feet are duct taped together. 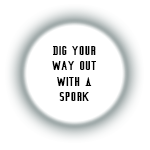 In the room around you there are some items including: a broken bottle, some bird feathers, some dead fish, and a rusty spork. In your pockets you also have your wallet. Your shirt is torn and bloody. Outside you can hear footsteps of someone or something walking by. You don't have a bobby pin! You fail to pick the lock and are stuck in the room. A guard outside hears the noise you are making, comes in, and tightens your handcuffs. You fail to escape and remain stuck in the room. Success! 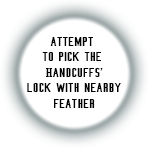 You pick the handcuffs lock with the feather, and break free. 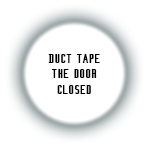 You remove the duct tape from your legs, and put it in your pocket. You also decide to grab as many items as you can from the room; just in case. After picking up everything around you, you inspect the doorway into the room. The door is locked. There is no way of seeing what is outside. The feather breaks! It is not strong enough for this lock. A guard hears you playing with the lock and comes to investigate. He catches you, and handcuffs you back to the chair. Why would you try that?? You dig in the earth for hours, but get nowhere. A guard bringing you food discovers you free of your handcuffs, catches you, and handcuffs you back to the chair. The door swings open! You find yourself at the end of a long hallway. There is no one nearby. You begin to quietly sneak down the hallway. 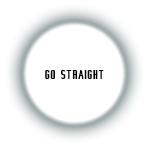 You come to an intersection in the hallway. There are three directions to go from here. You can hear footsteps walking, but they don't sound human. 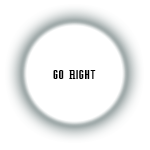 You decide you had better choose the correct path; and fast! You go left, but the path leads to a dead end. 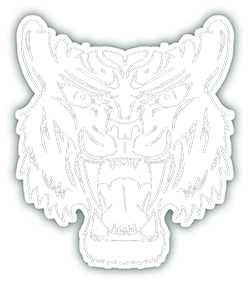 While you are re-tracing your steps you stumble upon a huge attack dog, who attacks you instantly, alerting the guards. You are returned back to your room and handcuffed back to the chair. You go straight, but fail to see there is a security camera on that path! An alarm goes off and a guard rushes over to catch you. You are brought back to your room and handcuffed back to the chair. You turn right, and follow the pathway around the corner. Standing directly in front of you is a huge attack dog. You stand there frozen as it turns and looks at you. You hear a low growl as it notices you. You have to act quickly! 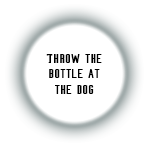 You throw the bottle at the dog, but it dodges it with ease. It attacks you and the noise alerts a guard who comes to capture you. He brings you back to your room and handcuffs you to the chair. You turn and run, but the dog chases you down. It attacks you! The noise alerts a guard who comes and catches you. He brings you back to your room and handcuffs you to the chair. The dog stops growling and begins contentedly to chew on the dead fish. You carefully walk by, and continue down the hall, then around the corner. In front of you there is a door with a guard walking outside. To continue down this hallway you must get past the guard. 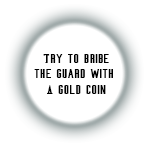 You attempt to bribe the guard with a gold coin, but fail. The guard just laughs. He brings you back to your room and handcuffs you to the chair. 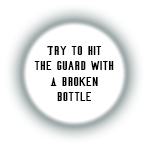 You try to hit the guard with the bottle, but weak as you are your attack is parried easily. 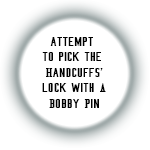 The guard subdues you, then brings you back to your room and handcuffs you to the chair. 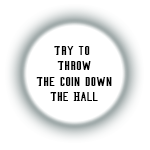 You throw your coin past the guard and down the hall. He spins towards the noise, and goes down the hall to investigate. You can hear him ranting about the dog making noise again. 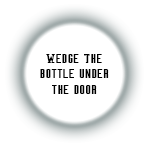 You move swiftly forwards and enter the door. You find yourself standing inside of an office. 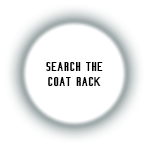 There is a closet, a desk, a coat rack, and a file cabinet. On the desk there are a pile of documents, a computer, and a phone. 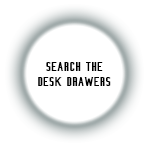 You search the desk drawers but find nothing useful. As you're closing the final drawer the guard walks into the office and sees you. The guard catches you, then brings you back to your room and handcuffs you to the chair. 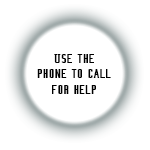 As you are dialing the phone, you clumsily drop it. The guard hears you! He runs back into the office and catches you. He brings you back to your room and handcuffs you to the chair. In a coat pocket you find a pair of keys. 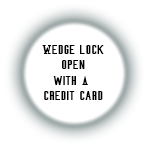 You hear the guard find your coin and exclaim in surprise. You know you don't have much time left to choose your next move! You run out the back door, but it leads you right out to the hall of the attack dog. 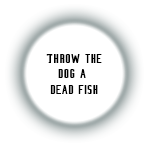 The dog quickly realizes you have no fish left for it, and attacks you. The guard hears the commotion, finds you, and brings you back to your room. You are handcuffed back to the chair. Why would you pick such an obvious hiding spot?? 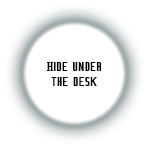 You hide under the desk, and hear the guard walk into the office. He turns the lights on, and finds you immediately. He smirks, then brings you back to your room and handcuffs you to the chair. You slip out the door and around the corner before the guard sees you. You run down the hall and turn at the corner, where you see an exit sign before you. You run out the door, and the door slams behind you. The noise will surely have alerted the guard of your escape. 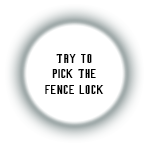 Looking around you see you are in a fenced yard. You have to buy yourself some more time. You turn to face the door. The duct tape is too weak from being used to tie up your legs. The guard comes bursting through the door and catches you in the yard. He brings you back to your room and handcuffs you to the chair. The bottle fits snugly, but doesn't hold. The guard bursts through the door and catches you in the yard. He brings you back to your room and handcuffs you to the chair. 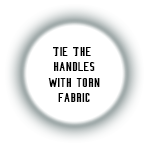 You hear the guard slam into the door, but the fabric holds for now. You know it won't hold forever so you begin to frantically scan the yard. 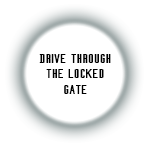 The area is completely enclosed in a tall fence, with a gate leading to the road. You check the gate, but it is locked tight. You try to climb over the fence, but get caught in the barbed wire on the top. The guard finally breaks out of the door, catches you in the yard, and brings you back to your room. He handcuffs you back to your chair. 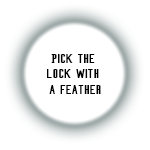 You try to pick the lock of the gate, but your flimsy feather won't work for this lock. While you're fumbling with the lock the guard rushes out and catches you. He brings you back to your room and handcuffs you to the chair. Around the corner of the building you find a car. It's the only car in sight. You open the door and climb into the driver's seat. You put the key into the ignition and it starts right up. The guard breaks out of the door, and runs out into the yard. You try to run over the guard, but just as you get close he jumps out of the way. You crash into a light post, and the car engine goes up in smoke. 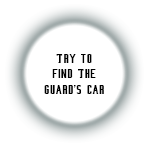 The guard comes and pulls you out of the drivers seat. He brings you back into your room and handcuffs you to the chair. 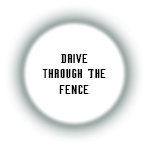 You drive the car straight into the fence, but somehow it holds. The car crashes to a halt and the engine dies. The guard comes and pulls you out of the drivers seat. He brings you back into your room and handcuffs you to the chair. You crash through the fence gate, and go spinning out onto the road. You gun the engine and fly down the road away from the building. It takes you a while to figure out where you are, but once you do you are able to find your way home. When you get home you find police everywhere, talking to your family and searching your house. You fall out of the car, and everyone is shocked to see you. They explain how you were kidnapped and being held hostage until a ransom was paid. The police are able to trace the car's registration back to the guard at the building. After hours of interrogation the guard confesses, gives up the kidnappers. After a long day, you are finally able to go home. Unfortunately, you can't fall asleep. You lie wide awake with the excitement of the day, thinking about how many things could have gone wrong.